Stitched Brushed Gunmetal Plated Buckle with Matching Leather Keeper. 5 Holes for Easy Fit Adjustment. Classic Tapered Style Tip. 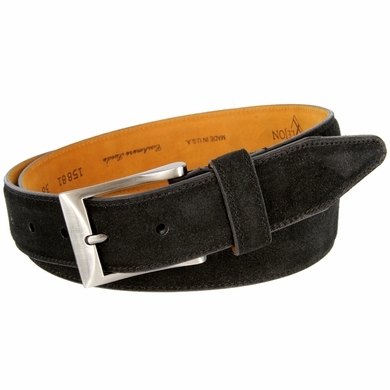 Our belt is measuBlack from where the leather ends at the buckle end to the middle hole at the tip end.